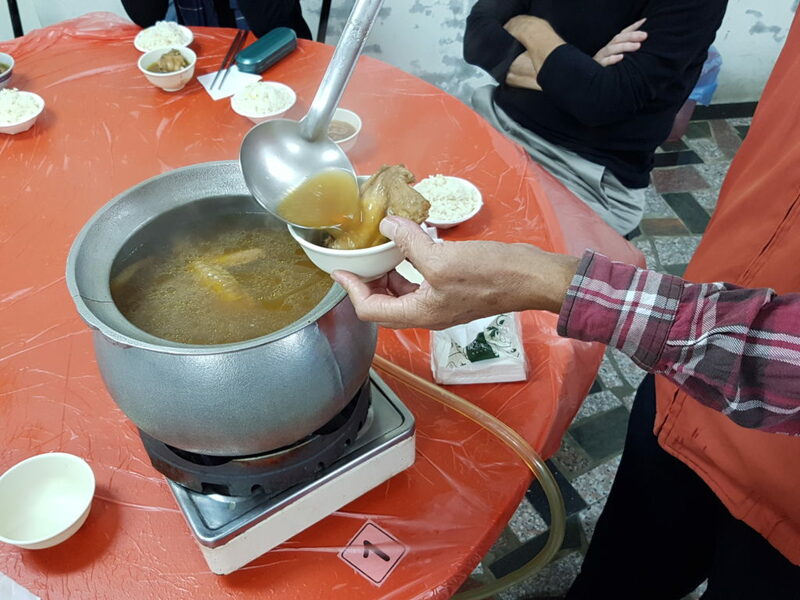 A night out with my aunt and uncle in rural Taiwan was the basis for this feature story for Roads & Kingdoms exploring where Aboriginal culture and questions about Taiwanese identity meet in a bowl of hot chicken soup. Long one of my favourite online reads, Roads & Kingdoms brings together stories from all corners of the world with off-the-beaten-track takes on food, travel, and culture. Thanks to a special partnership, the story was also published simultaneously on Slate. Click here to read the story on Roads & Kingdoms or here on Slate. “We’re here!” my Uncle Yeh announces cheerfully, and we pour out of the car. Here, a glaring beacon of fluorescent light amid a sea of banana and papaya plantations, is our dinner destination. The automatic doors slide open obligingly as we approach the no-frills concrete cube of a restaurant. Inside, extended families are hunkered down in silence, busily ladling and slurping something from cannonball-size cauldrons that bubble away on gas burners in the center of each table. One glimpse says it all: This is going to be good.